We covered some epic local chefs before this, but did you really think that was it? We’ve got some great talents in Malaysia, and I don’t want to miss them out! 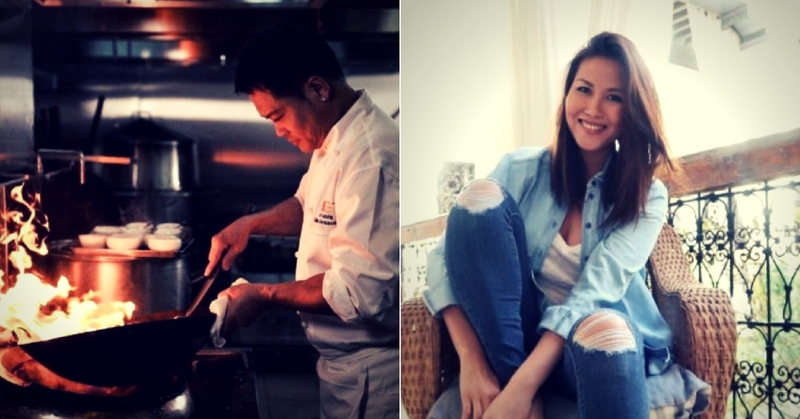 So here’s another 5 delicious local chefs who can whip up a scrumptious spread without breaking a sweat! Though Arokiasamy might have left KL to seek a better life in the US, she till clutched onto what she had learned about cooking and spices from her family in Malaysia. She’s also the daughter of a spice merchant and shares her family’s culinary tradition through her cooking and even her cookbooks. I mean, if you’re looking for a great cookbook, Arokiasamy’s cookbook has a wide array of flavours properties and health benefits using Malaysian seasonings, ranging from galangal to the nutty candlenuts. She has dedicated her life to sharing her heritage of culinary treasures with others from all around the world and if you’re lucky to attend one of her cooking classes, she will take your taste buds to a whole new level. This Malaysian-born Singaporean is a well-known chef is famous for his modern Chinese cuisine and has received many industry honours such as the Five Diamond Award, and Asian Cuisine Chef of the Year “local” by the World Gourmet Summit, Singapore and Malaysia. Chef Sam also helms Forest 森, a fine-dining restaurant that serves delicious contemporary Chinese cuisine by mixing together top notch cooking methods and also ingredients from the East and West. The restaurant’s name also comes from his wife’s name; Forest Leong, who is also an established chef and who helps run the restaurant too. And since Chef Sam has been trained in Thai cuisine, you can sure to find hints of Thai flavours in some of his dishes. Like many cooks, Musa started his love for cooking when he moved to the UK as a student. After graduating, he landed his first job as a quantity surveyor in England. After years in the corporate world, he took a sabbatical in 2006 and planned, designed and built his restaurant called Ning. Acting as Head Chef serving Malaysian and Thai cuisine, Musa had worked in his restaurant for a year before returning to his day job as a quantity surveyor. Even though he returned, he was still Ning’s Head Chef and after the business took off, he called it quits at his corporate job and worked full-time in Ning. Today, Ning features his mother’s delicious curries and rendangs based on the recipes she taught him during his university days. Besides owning a restaurant, he also taught his own cooking classes to the Brits, showing them how to make rendang, gulai and other Asian cuisines. In 2012, he received the award for Young Asian & Oriental Chef of the Year at the Asian Curry Awards, while his restaurant in Manchester had also received the title of ‘Best Malaysian Restaurant’. Teoh loves breaking boundaries with the local Malaysian cuisine and putting his own modern take on many dishes in a playful and ambitious way. His ‘debut’ restaurant, Dewakan, showcased his desire to connect ingredients from local resources to our palates as a way to ‘pay tribute’ to God. He also gets the best local ingredients sourced and interprets them in a unique way that tells a story. Today, the restaurant has blossomed into one of Malaysia’s best fine-dining places to go to and you can expect a thoroughly adventurous ten-course meal, each course filled with twists of textures and flavours, challenging and pleasing your taste buds. Recently crowned the winner of MasterChef Australia in 2017, Chan truly deserved the award for her great consistency and ability to harmoniously combine every ingredient in such a constrained time. During her time competing, she has produced well-balanced and hearty meals that embraces a wide array of flavours with local Malaysian influences. With the cash prize that she won from the competition, she’s hopeful that she will be able to open a restaurant serving wholesome fusion meals with Malaysian influences as a mean to promote this flavourful country.